"Relax. You're in the bush" - You are in the heart of Zululand having reached the village of Mkuze, nestled alongside the N2 highway approximately 300 kilometres from Durban. The village lies on the banks of the Mkuze River which eventually reaches the coast in The Greater La Lucia Wetland Park, passing along the edges of the Mkuze Game Reserve in the course of its journey. While each Game Sanctuary in this "Land of Nature Reserves", has its own unique charm, Mkuze is somehow special. The 40,000 hectare Reserve, with its yellow Fever trees, wide spreading Sherbet trees and Red Heart Trees is an ever changing Wonderland to which visitors return time after time. With over 600 bird species having been recorded here, including Pelicans, Spurwing Geese and various Fish Eagles, Mkuze is a bird lover's Mecca. 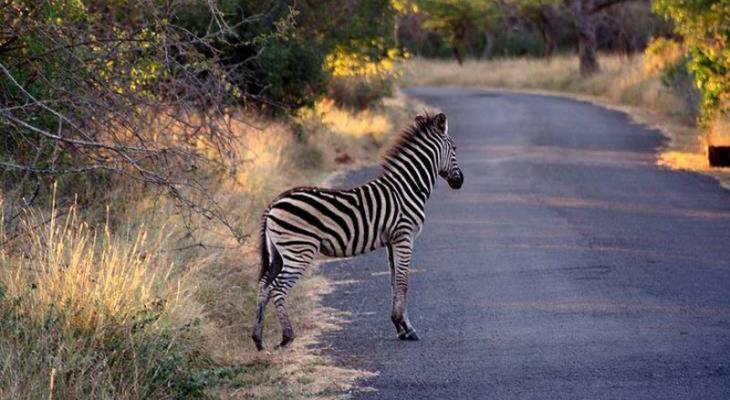 Add to that, giraffe, both rhino species, prolific herds of buck, zebra, leopard and cheetah and you have enchanted guests traversing the 100 kilometres of wide sandy tourist roads in the Reserve. Natural pans, several well chosen picnic sites and protected viewing hides make for a rich and rewarding game viewing experience. Be warned though, if you go to Mkuze once - You'll be back! Mkuze overview. Mkuze Accommodation and Information.